I had a whole blogpost planned out for today. I even wrote it out in my planner. But it won't happen today. Because this did. I feel like this is huge. I'm putting my money where my mouth is. This feels like Step One to wherever it is I am going. I've taken action. 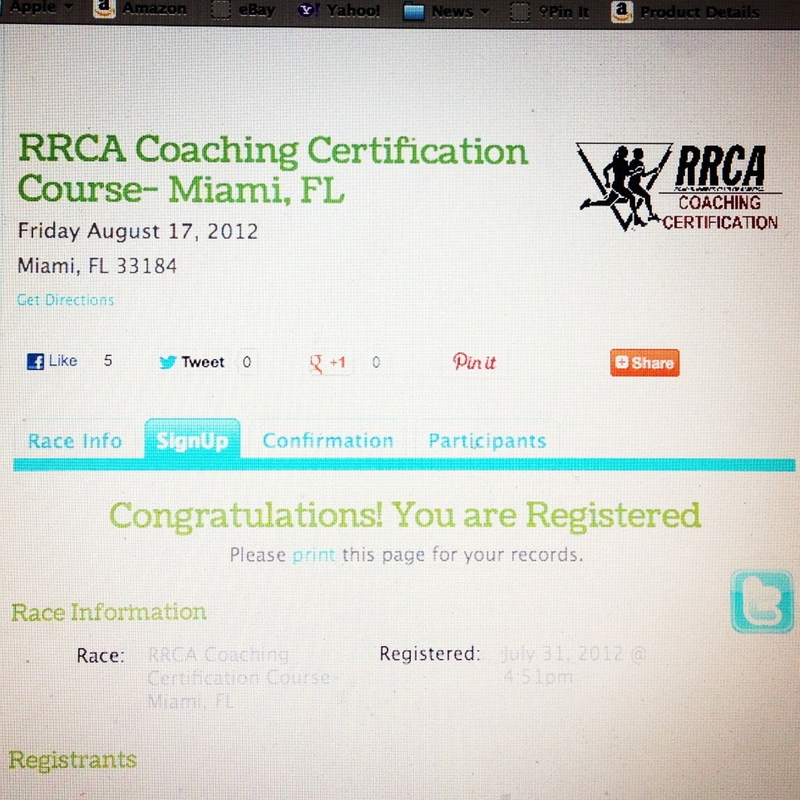 I'm going to be a Certified Run Coach with the RRCA. Also? I'll get to spend a weekend in Miami with my girl Erin. And I'll fly alone for the first time ever. For once, I don't have a lot of words. But I had to tell you.